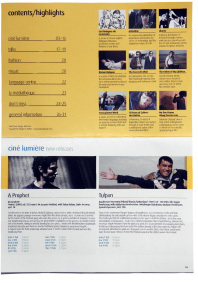 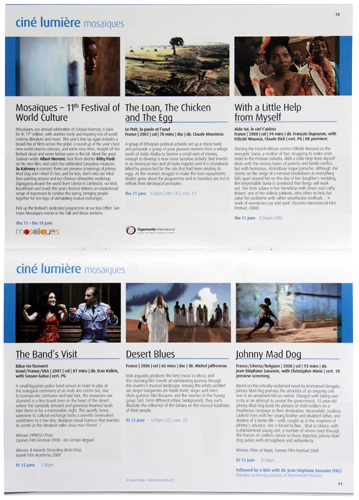 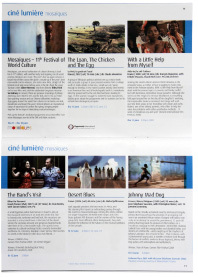 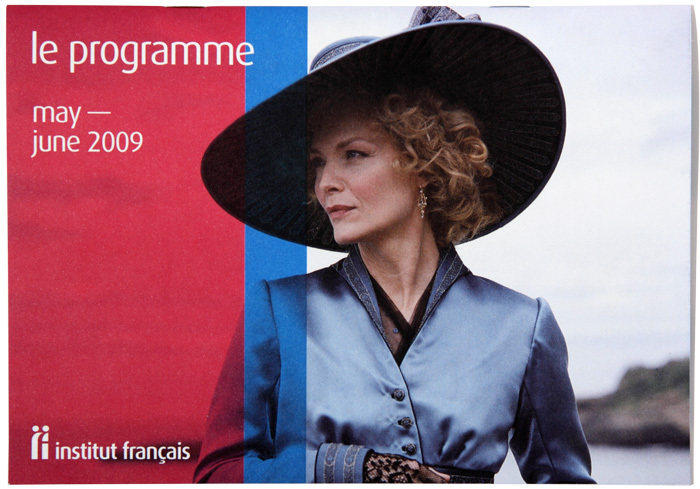 Intro redesigned the bi-monthly programme of events for the Institut Francais. 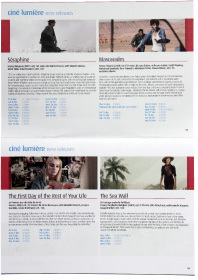 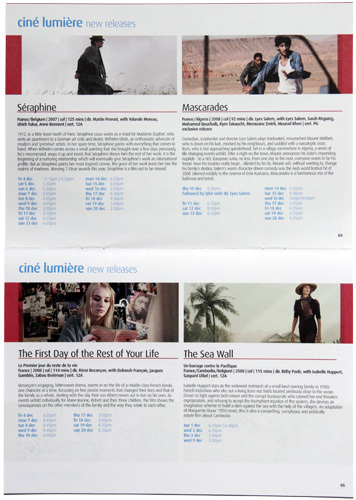 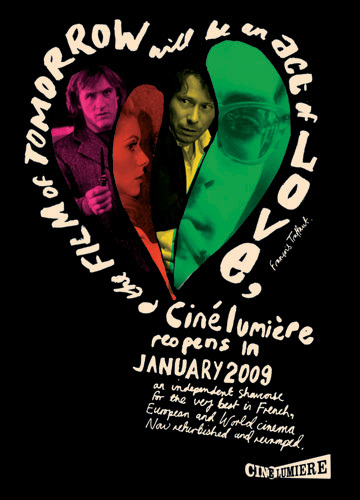 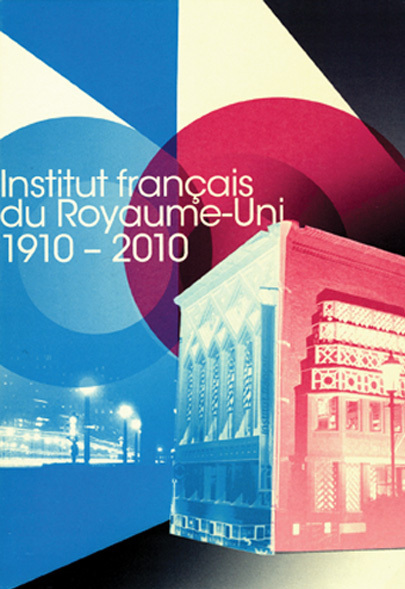 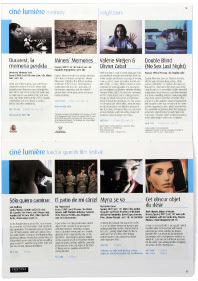 The Institut is home to the popular Cine Lumiere cinema, and after an extensive renovation Intro designed a range of materials to promote and advertise the re-opening, a project led by Julian House. 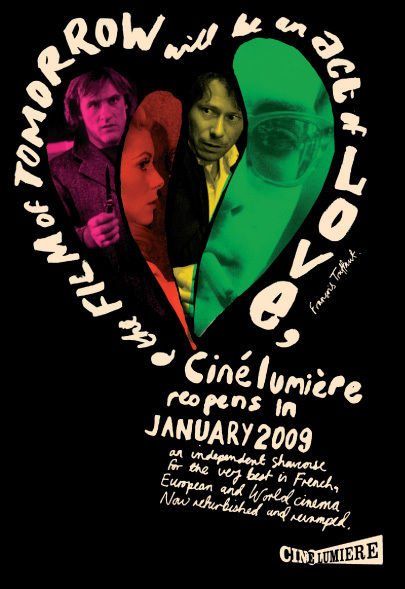 The brief asked for a design that evoked the mood and style of classic French cinema. 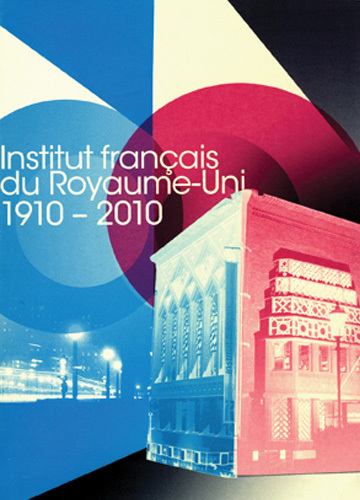 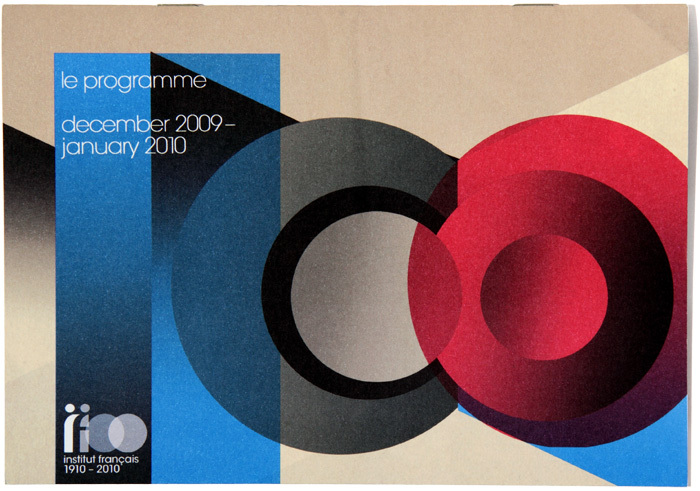 Julian also created designs that celebrated the Institut’s centenary in 2010.